OST recovery is one of the toughest processes to execute today. This is because OST database is so fragile and can be easily broken. So, instead of doing this task manually, many have started to take the help of professional tools for the process. However, there is still the air of uncertainty as to which tool is good for the cause. And then, there is the danger of losing your money to a useless tool. Many tools which have earned a reputation in this process are way too expensive for anyone to use them. Therefore, through this article, we want to clear the air once and for all. We have found the perfect tool which can not only recover OST files comprehensively but will also be easy on your pocket. 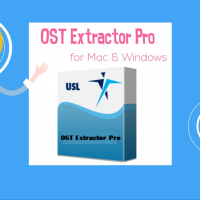 This tool is called OST Extractor Pro by USL Software. OST Extractor Pro is a premium tool made for the process of OST recovery. It is capable of comprehensive and successful OST recovery from all sources possible. As its name suggests it is a professional in task of OST extraction and does not disappoint any customer. The tool has been built on robust technology and amazing features which renders it amazing speed and ease. Its graphical user interface makes the task so easy and smooth. The self-explanatory user interface does not let customers feel even a shred of task’s complication. 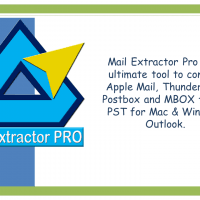 OST Extractor Pro completely understands the anatomy of modern mails. It recovers everything from nested mails to embedded images. It is also comfortable with every language of the world. To render the recovery process complete, OST Extractor Pro also converts OST files to any format of customers’ choice. Since OST files are meant for offline usage only, to make them work in an email client, it has to be converted to the format of that email client. OST does that work to ensure that OST is usable again. OST Extractor Pro comes with a free trial version which can be utilized to explore the tool to its full length. The demo version displays all the amazing features of the tool in its entirety. This has been done to make sure that customers understand the true worth of OST Extractor Pro before making an investment in the tool. 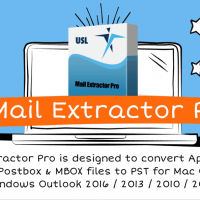 OST Extractor Pro requires Microsoft .NET framework 4.0 client or higher. It is compatible with Outlook 97 to 2019 or office 365 OST files. AS per Windows OS, it can work with Windows 7, 8, 8.1, 10 and Windows server 2008/2012. USL software has gone to great lengths in ensuring that everyone benefits from this product. Therefore, numerous licenses have been arranged which caters to different needs of different individuals or organizations. Its licenses begin from $49 and go up to $599. You can check them out once you are satisfied with the free trial version of the tool. 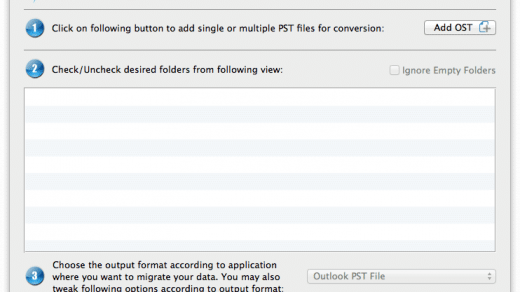 So, begin your OST to PST journey by downloading the free trial version of OST Extractor Pro. Get the OST recovery tool right now!